The blockchain technology is presently having its major effect in financial services, with the biggest variations caused by infrastructures using API’s of blockchain and in which are delivering in the areas of speed in data processing, transparency within the users and security. Blockchain technology offers businesses and consumers the opportunity to achieve greater in terms of investments. Every day we see this technology from reaching and gaining different innovations. A company is now reaping the benefits of being one of the early enterprises of the blockchain technology. Read on to learn more about this company. SmallCapPower | One of the early entrants to the rapidly-evolving blockchain technologies industry and the only publicly-listed cryptocurrency miner, HIVE Blockchain Technologies Ltd.’s (TSXV:HIVE) stock price has nearly doubled since its listing on September 18, 2017. This momentum could continue as HIVE has recently acquired a second data center (raising its mining capacity by 70%) along with a $30 million in financing that would enable it to expand inorganically. Additionally, renewed interest in the rapidly-evolving blockchain technologies could bring new investor money into this well-capitalized and well-backed technology company. 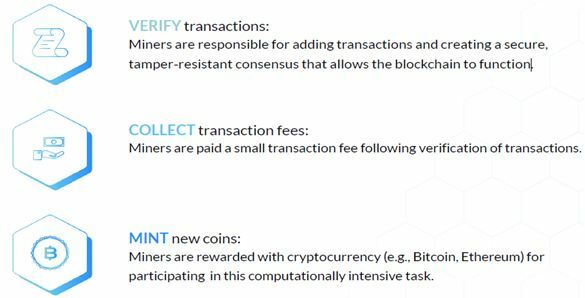 HIVE Blockchain is one of the early entrants to the rapidly-evolving blockchain technologies industry and is the only publicly-listed cryptocurrency miner. HIVE has partnership with, and is backed by, Genesis Mining, one of the world’s leading cryptocurrency mining hash rate providers that owns 30% of the Company. Genesis Mining is key advisor to HIVE Blockchain, with significant technical expertise and existing relationships with manufacturers. On September 15, 2017, HIVE Blockchain completed its first acquisition of a state-of-the-art GPU-based blockchain data centre in Reykjanes, Iceland. Post the acquisition, HIVE is focused on establishing a market presence and scaling its mining business to multiple cryptocurrencies. Another strategic investor in HIVE Blockchain is U.S. Global Investors (NASDAQ:GROW), which announced recently the purchase of 17 million shares of HIVE. Less than one month after its first data center acquisition, HIVE announced the acquisition of a second data center and a $30 million bought-deal financing. On October 11, 2017, HIVE Blockchain completed the acquisition of a second cryptocurrency mining facility located in Iceland from Genesis for $5.0 million and the issuance of 2,000,000 common shares of the Company. Concurrently, HIVE Blockchain also completed a $30M bought-deal equity financing to fund the acquisition, and for general working capital purposes. The acquisition increased the Company’s cryptocurrency mining capacity by over 70%. As part of the capital raises, Genesis Mining exercised its right to maintain up to a 30% interest in HIVE and subscribed for 4.7 million shares at $1.50 for additional gross proceeds of $7 million to HIVE Blockchain. The Company has an option to acquire an additional three mining facilities from Genesis Mining in stable jurisdictions with access to low power. Blockchain is the database technology that underpins the rapidly-growing cryptocurrencies and encompasses a distributed ledger architecture, unlike traditional databases where all information is at one central database. Blockchain eliminates the need for an independent third party to validate a transaction, as the blockchain is able to ensure transactions and information is correct. Role of miners: Public and enterprise blockchains are secured and maintained by miners, which are nodes of computers that validate and process the transactions on the blockchain. In other words, blockchains rely on miners to secure transactions and control the creation of new digital currencies on a blockchain. Market opportunity: Blockchain has the potential to fundamentally change and lower transaction costs. According to analysis by the Economist, annual revenues earned by the banking system for processing payments were approximately $1.7 trillion in 2014, or 2% of global GDP at the time. Hence there exists significant potential for blockchain technologies to capture a large portion of this opportunity. Blockchain will fundamentally alter today’s platforms for finance, insurance, and governance, among others.As the need for mining blockchains grows, HIVE will aggressively expand hash power capacity and rapidly develop into a large, competitive player in this space. According to Coinmarketcap, the total cryptocurrency market totaled ~US$172 billion as of October 16, 2017, with Bitcoin contributing nearly US$93 billion to the total, followed by Ethereum at $32.1 billion. Backed by Genesis, the world’s leading cryptocurrency mining hash rate provider, HIVE Blockchain looks poised for strong growth in revenues and earnings over the next several years as the blockchain market gains strong market acceptance. With two cash-flow positive GPU-based mining facilities and the possibility of acquiring three more facilities with sufficient capital available ($32 million), the Company is well positioned to capture a share of the large and growing market opportunity. HIVE Blockchain estimates TTM EBITDA of ~US$7 million on the initial data centre alone and the addition of four more centers could easily quadruple that figure to roughly $30 million. Since its listing on September 18, 2017, HIVE’s stock price has nearly doubled to $2.73 for a market capitalization of $619 million, which seems high given lack of revenues and profits currently. However with revenues and EBITDA expected to grow meaningfully over the coming quarters, the stock could make new highs as investors who want to have exposure to this sunrise industry enter this well-capitalized and well-backed technology company.